Bids from four Greater Manchester districts to host the Rugby League World Cup in 2021 have all passed the first stage. The global showpiece in three years’ time will be the biggest competition ever for the sport. Cities and towns across the country have put themselves forward to host the international matches across the country. The four Greater Manchester districts are bidding to host games for the men’s tournament. After passing the first stage the bid process now enters a “candidate stage” where the bid team from the Rugby World Cup will look more closely at the venues and the overall bid. A final decision and announcement on the successful hosts for the competition will be made early next year. Councillor Linda Thomas, Leader of Bolton Council and Greater Manchester Portfolio lead for culture, arts and leisure said: ““It is great news that all four Greater Manchester bids have passed the first stage of the process. “Greater Manchester has the stadiums, the facilities, the passion and the love for the game to play a leading role in delivering a hugely successful Rugby League World Cup. 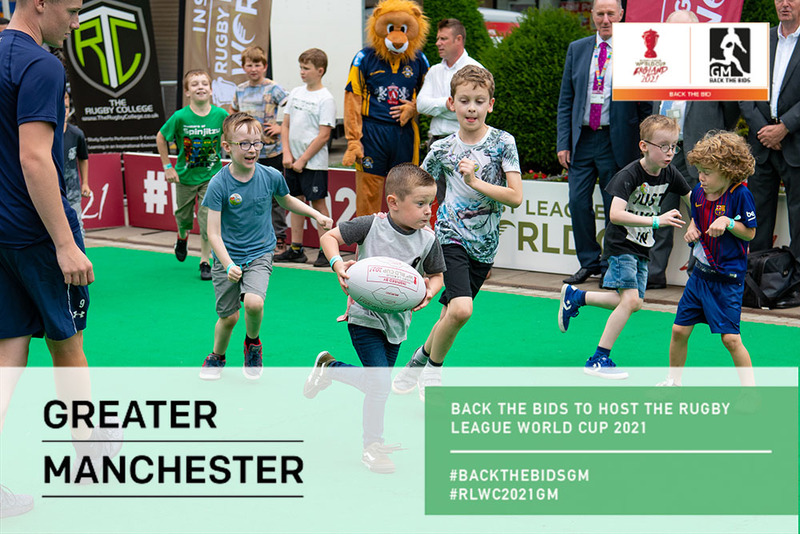 “All the Greater Manchester bids are strong bids and will promote the sport of rugby league as well as the wider benefits of sports participation and being healthy and active. The tournament, which will be held in October and November 2021, will feature the men’s, women’s and wheelchair tournaments. More than 1 million people will attend the games over the five weeks the tournament runs. As well as hosting a successful tournament the Greater Manchester bids will focus on the legacy of the tournament and increasing health and wellbeing among all ages. Bids to host the games have to be submitted to the Rugby Football League by the end of July. Oldham and Salford are also bidding to be a part of the tournament through hosting sides and events, with Rochdale planning support activities and building on their strong links with Fiji.